Anyone who ventures more than ankle deep into the weirdness of quantum mechanics quickly realizes that reality is not what we once thought it was. From the time it was introduced, its most respected scientists have groped for new understandings of the nature of reality, often turning to mysticism and religion for answers. In case you were hoping for a consensus, Nick Herbert (“Quantum Reality,” Random House, 1985, Chapter One) counts no less than eight diverse versions of reality generated by quantum physicists, several of them quite mystical, all of them—including the most pragmatic and most realist—exceptionally weird. The real problem is that all of them seem to work. Originally written for a symposium on the works of the Rebbe, Rabbi Menachem M. Schneerson, held at Brandeis University in the summer of 2000. I know that Quantum Mechanics (QM) and mysticism tend to turn people off, especially when you try to put them together, but for the way my mind works, this actually makes a lot of sense. I recently read John A. Sanford’s book Mystical Christianity: A Psychological Commentary on the Gospel of John, which applied Jungian psychology heavily to the symbolism in John’s gospel. While I thought Sanford’s attempt to do so was anachronistic, reading how QM pioneer Wolfang Pauli consulted Carl Jung in attempting to understand the “weirdness” of what Pauli was addressing makes me realize something else was going on. I’m not going to attempt the creation of some grand literary treatment of mysticism and QM, but I do want to revisit an old mystery and attempt to use aspects of QM, not necessarily as a solution, but as a proposal. I’ve written a number of blog posts on the Calvinism vs Arminianism debate, thanks to my discussions with my Pastor. This includes The Bible as a Quantum Cookbook, which tries to put QM, Calvin, Schrödinger’s cat, and Talmud in the same hypothetical room together. But I’ve wanted to write this sequel for a few weeks now and the opportunity presented itself. In a quantum universe i don’t see why one can’t be 100% Calvinist and 100% Arminian. Even closer to home, I don’t see why one can’t be both a post- and a pre-millenarian. OK, I’ll confess I don’t know anything about physics or even whether Schrodinger’s cat is alive or dead. But I do know that human language is not adequate to frame propositional statements about eternal realities. This isn’t relativism…things which occured in time (and in the scripural account of time) like the resurection are subject to the law of non-contradition. It either happened or it didn’t. But we can’t be led into bad metaphysics by the soterological speculations of the 16th and 17th centuries…Calvin and Arminius respectively. So what have I got? Probably nothing new, except that I have the need to write this if, for no other reason, than to get a few things out of my head and into the blogosphere. You can find out pretty much anything you want to know about Schrödinger’s cat at Wikipedia, but in short, Schrödinger’s cat is a thought experiment, sometimes described as a paradox, devised by Austrian physicist Erwin Schrödinger in 1935. That means no actual cat was killed or allowed to live simultaneously or in separate states as a result. 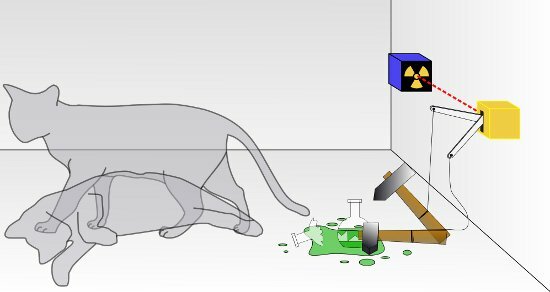 Schrödinger’s cat: a cat, a flask of poison, and a radioactive source are placed in a sealed box. If an internal monitor detects radioactivity (i.e. a single atom decaying), the flask is shattered, releasing the poison that kills the cat. The Copenhagen interpretation of quantum mechanics implies that after a while, the cat is simultaneously alive and dead. Yet, when one looks in the box, one sees the cat either alive or dead, not both alive and dead. This poses the question of when exactly quantum superposition ends and reality collapses into one possibility or the other. What does that have to do with the Calvinism and Arminianism debate? As you probably already know, the debate centers around whether man has free will to choose salvation or if God’s sovereignty forces us to have no choice. Can man participate with God in his salvation or must God unilaterally choose for man? If I apply Schrödinger’s thought experiment to the conflict, I come up with a resounding “I don’t know.” It’s the difference between Classical and Quantum physics. For the Jew with traditional leanings, this could be welcome news. The old determinist view of reality accepted by Newtonian mechanics was certainly at odds with the classic Jewish worldview. Could QM allow once again for a world of divine providence, miracles and free choice, a world in which the creatures interact with their creator? Could it perhaps even provide us a better understanding of that legacy perspective? The heavens are telling of the glory of God; And their expanse is declaring the work of His hands. Day to day pours forth speech, And night to night reveals knowledge. There is no speech, nor are there words; Their voice is not heard. Their line has gone out through all the earth, And their utterances to the end of the world. In them He has placed a tent for the sun, Which is as a bridegroom coming out of his chamber; It rejoices as a strong man to run his course. Its rising is from one end of the heavens, And its circuit to the other end of them; And there is nothing hidden from its heat. According to David, there is no inconsistency with our observation of the universe around us and our understanding of God. 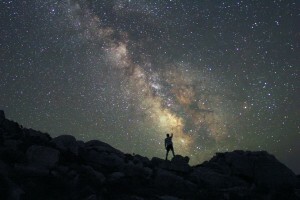 God made the universe and everything in it to point to the knowledge of Him. In other words, God doesn’t play “hide the ball” with the universe. What you see is what you get. Paul said the same thing in Romans 1:20, which is why no one has any excuse for a lack of knowledge of a Creative God. But if Classical Mechanics doesn’t map to the Jewish view of the universe, is Judaism wrong or were the classical physicists? Again, that’s too big a question for me to answer, but I’m liking QM more and more all the time. OK, no one really thinks that if you actually tried Schrödinger’s thought experiment with a real cat (which would be cruel) that you’d end up with a cat that is dead and alive at the same time. At the macro level, the cat would either be dead or alive. But Copenhagen interpretation of quantum mechanics works pretty well, at least in theory, at the subatomic level. What does it do when you enter into the realm of the supernatural and the mystical? Chassidic thought doesn’t have a problem with incorporating mysticism into its internal map of how man journeys with God, but that’s not going to satisfy the either/or literalist. The problem is, the either/or literalist is probably going to have trouble with the uncertainty of existence proposed by QM and thus the latest models for how we think things work in the universe around us. And if you think QM is strange and even bizarre, imagine how things would look to you if you could actually experience God the way Ezekiel did, the way Paul did, or the way John did in each of their mystic experiences as recorded in the Bible. Those events make the puzzle of Schrödinger’s cat seem as simple as riding a bicycle. Need one remind our orthodox Jewish scientists, who still feel embarrassed about some old-fashioned Torah truths, in the face of scientific hypotheses, that Heisenberg’s principle of indeterminacy has finally done away with the traditional scientific notion that cause and effect are mechanically linked, so that it is quite unscientific to hold that one event is an inevitable consequence of another, but only most probable? Most scientists have accepted this principle of uncertainty (enunciated by Werner Heisenberg in 1927) as being intrinsic to the whole universe. The 19th century dogmatic, mechanistic, and deterministic attitude of science is gone. The modern scientist no longer expects to find Truth in science. The current and universally accepted view of science itself is that science must reconcile itself to the idea that whatever progress it makes, it will always deal with probabilities; not with certainties or absolutes. I’m sure this or any other part of Rabbi Freeman’s article won’t convince anyone who thinks in either/or terms to entertain the idea that, from a human being’s point of view, man has total free will and God is totally sovereign at the same time, and yet that’s the only reasonable answer that I can see. Until we actually look in the box, the cat is both dead and alive. Until we can acquire God’s point of view of the free will/sovereignty process, we have total free will and God is totally sovereign at the same time. The thing is, Schrödinger can look inside the box anytime he likes and that sets the status of the cat on one side or the other: it’s either dead or alive once the box is opened. People can’t access God’s point of view directly. When we “lift the lid of the box,” we are opening the Bible. But the Bible is God’s viewpoint turned into human language. In the moment of “translation” from God’s thoughts to text on paper, we lose a great deal of meaning. We shift from perfection to sufficiency. We open the Bible and the cat is either dead or alive. But the state of the cat depends on which part of the Bible we’re reading. Human free will or a totally sovereign God? Somehow the answer is both. But if QM experts are weirded out by their own work, how much more should we be weirded out by the universe that God created us to live in? If you absolutely have to come down on one side or the other of this debate, go right ahead. That means you are picking and choosing those parts of the Bible that either support man’s free will or that support God’s absolute sovereignty. That means you are dragging God and the Bible down into the mud with you. OK, Deuteronomy 30:11-14 says that the Torah is in the mud with us, so to speak, but I believe God, through Moses, was telling the Children of Israel that observing the mitzvot wasn’t an impossible task, not limiting the nature and character of the Word of God itself. I think the Bible acts as sort of a “translation” of the Divine thought of God as filtered through the personalities and lives of the human writers. By definition, God and human beings had to enter into a partnership to create the Bible. Sure, God could have written it all by Himself without any human involvement, but he chose to let us participate. Does that make God any less sovereign and His Word any less perfect because people were also involved in the Bible’s creation? The Copenhagen interpretation of quantum mechanics implies (if I may take some liberties) that Calvinism and Arminianism are simultaneously correct and incorrect. Yet, when one “looks in the box,” so to speak, it seems to be one or the other. Only God knows what’s going on in the box without lifting the lid. The Christian faith is kaleidoscopic, and most of us are color-blind. There is an entirely valid form of reasoning to support Dr. Einstein’s observation about QM: “G-d does not play dice with the Universe.”. Now, if you’ll leave Talmud out of the equation, I wouldn’t mind placing QM and Calvinism in the box with Schrödinger’s cat (though my sympathies are still with that hostage cat). The problem with all human observations, though, is that they do not see the entirety of reality; they see only a statistically-reliable sampling of it. 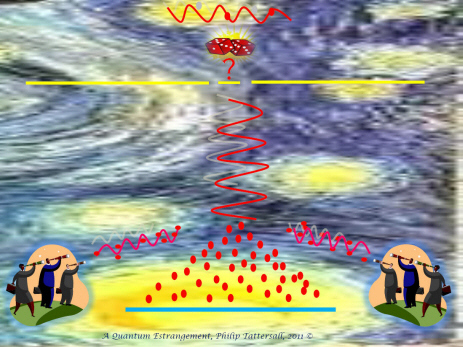 Usually, the unexplainable is the result of one of the unseen components becoming the active agent in an event. It is this unseen potential contribution to causality that is represented in Heisenberg’s principle. But such unknowns have been always a feature of science and technology. They are one of the reasons why engineers always try to calculate conservatively, with a margin for error, in order to minimize the likelihood that some one of the uncertainties could become a cause of failure that compromises safety. This is not unlike the Jewish principle of placing a fence around the Torah. 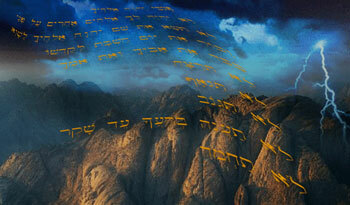 And it is not unknown to human experience for HaShem to “lift the lid of the box” (so to speak) on occasion. Such events provide reminders to keep humans humble about what they think they know. The point to today’s “meditation” is to illustrate that indeed, we don’t know everything and that there are unseen components in how God works and interacts with human beings and with our created universe. I believe the Bible has sufficient answers but I don’t believe it contains literally everything. I think on a human level, we have to live with the uncertainty of Schrödinger’s cat (which by the way, was a thought experiment, so no cat at any time was placed in a box). If Psalm 19:1-6 (in Christian Bibles, 1-7 in the Tanakh) means anything at all, it means that God intended human observations to be part of the universe’s revelation of God, so they are part of the mechanism by which we know Him. ““There is no matter as such…the mind is the matrix of all matter.” That by itself should have given you a sign that what you are dealing here is an Hellenistic mindset and Plato’s influence. Hi Dan. I don’t literally accept every single thing said by the sages. My point, as I’ve already stated, is to introduce the idea that we human beings don’t know everything and that there are probably areas of our doctrine that we don’t have quite right. We always have to ask ourselves if we could be wrong about something, such as the whole calvinism vs arminianism debate. We always have to ask ourselves if God can be put in a box just because we build it. The reason the morons who deny freewill deny it is because they don’t believe in souls but only in material brains. The material brain is made of atoms which are in turn made of subatomic particles, and so the argument of the morons goes “everything the brain thinks is predetermined by all the previous movements of the subatomic particles.” What the idiots fail to take into account in the system is that the soul exists outside the system and alters the system. The soul is capable of altering the course of the subatomic particles in the brain, and therefore our choices are not the product of all the previous movements and trajectories of the subatomic particles, because we are the soul and we can alter their course. Last winter, while teaching Elie Wiesel’s, “Night,” I assigned an “Identity Box” activity for each Monday morning… each student brought something personal from home in a shoebox–a trinket, souvenir, a written memory–that linked them to an event or person in the previously assigned reading. Rabbi Tzvi is on to something in his adventurous attitude toward understanding the physical Universe and its relation to God and us. I love his trusting, bold, intrepid attitude toward seeking pathways to nearness to God. Memory is a curious phenomenon, Dan. Neurophysiologists are still studying the physical phenomena of how human brains perform memory functions, but explanations are available for the triggering and replay of memories such as you describe. The explanation need not be any more complicated than the operation of a DVD recording. It does not require transportation across time and space, and the Occam’s razor principle suggests that we should prefer the simpler explanations as more likely to represent the truth. However, memory does offer to us an illustration to fire our imaginations about operations that are not constrained by linear time, that can revisit events at random points along a time sequence and even can be extrapolated to envision eternity past and future. And while we can be only voyeurs in these visions of replayed memories and are no longer able to be active participants, we can apply imagination to consider what we might have done differently in some situations, thereby creating virtual alternatives to these events in order to learn from them. Thus we may prepare ourselves to exercise our (free?) will to better effect on future occasions. Indeed, what better purpose is there for dreams and visions, if not to prepare us for what lies ahead? Nonetheless, a question that scientists do not have tools to explore is about the mechanics of memory in a soul that continues to operate outside of a body — and indeed outside the space-time continuum. One may ask, how is a soul to be judged ultimately unless some record of evidence is preserved for its thoughts and deeds? Since human physical memory cannot make full use of all the data that is stored therein during a lifetime, is there some other ultimate purpose for it to have been stored? Is human physical memory merely a copy of a recording in the “mechanisms” of a soul? Is the non-corporeal human soul constructed using similar mechanisms as those that enable beings like angels and even HaShem to formulate thoughts and to remember? It would seem that the scriptures imply affirmative answers to these questions. Funny you should mention that quote from Hamlet, Dan. I included it in today’s morning meditation which I wrote several days ago. I suppose it’s an extension of this missive; the discussion of the unexplainable connection between God and human beings. The passage read at Shabbat Zachor — Zachor et asher asah l’cha Amalek, “Remember what Amalek did to you…”– is a focal point of my life that serves as a call-to-action, both as concerns appreciation and gratitude for the exodus and all that HaShem has done for us in general, to include the redemptive work of Messiah, but to Holocaust remembrance, as well, in particular — and I always wonder, in reading the Torah’s account of Amalek in Exodus 17, do we [just] tap into our own most ancient collective memories and feelings about the enemy in reading that passage, arousing all of our emotions–our hopes, our fears, our sorrow, perhaps even, at moments, our anger toward the wickedness of Pharoah — in order to “remember” the things that we must remember in order to stand with HaShem in blotting out Amalek’s memory from under heaven…or… does the very act of remembering itself have metaphysical or supra-natural impact in the invisible realm? In English the word represents a restrictive relative clause that contains essential information about the noun that comes before it. My question is, does it represent a connection to the word “memorial” which is a form of the word zachor (correct? ), meaning “that” HaShem’s blotting out of the memory of Amalek is connected to the two directives given to Moses (‘write’ as a memorial, ‘recite’ in the ears of Joshua)? In other words, does this suggest or infer that our actions of remembrance have impact on His blotting out of the memory of Amalek? Is this an element of working toward “tikkun olam,” repair of the world? This may be just a case of childlike wonder, but, then again, having a God of such majesty and wonder, how do we know that we are not actually participating with HaShem in the blotting out of the name of Amalek each time we zachor, remember, His sovereign hand in the ongoing effort to set all captives free? Seriously Dan, I love this! Ahh, love that too Dan. Love me some Irish!